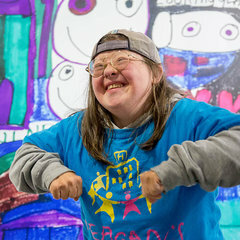 The true story of a woman with Down syndrome who overcomes discrimination, and her own fears, to blossom into an artist. 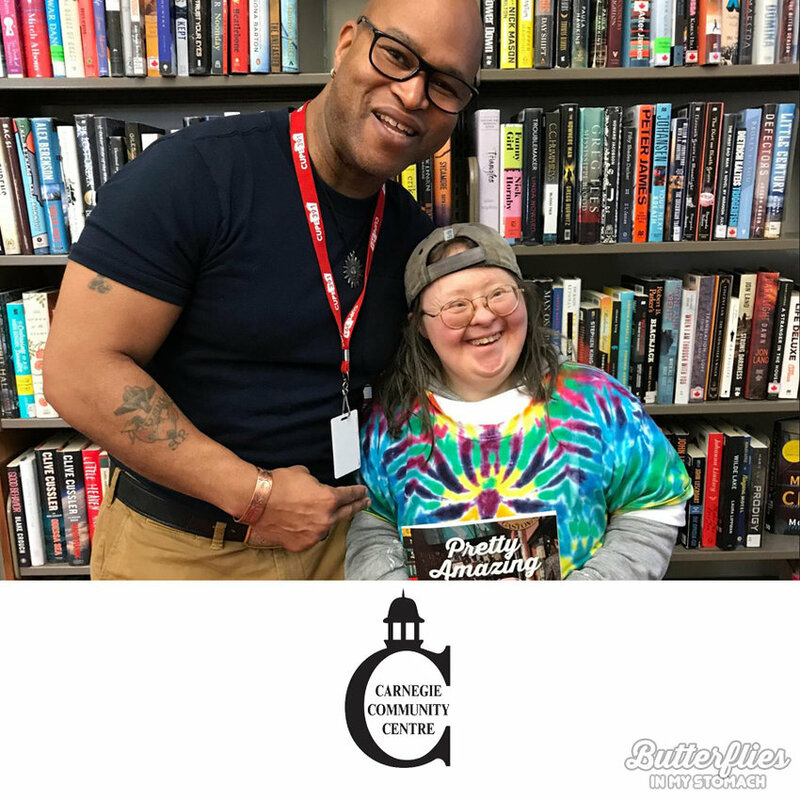 This is the true story of Teresa Pocock, a woman with Down syndrome who has overcome discrimination and her own fears, to blossom into an award-winning artist and author. 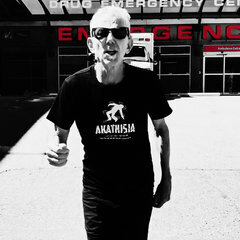 Four years ago, at age 49, Teresa was written off as "incapable" and was forced into a old-age nursing home in Ontario. Teresa did not want to live there. Her father and a sister rescued her, and Teresa moved across the country to B.C. to start a new life. “Butterflies in My Stomach” will tell her remarkable journey: How 26,000 people on Change.org, as well as civil rights organizations, and the media, helped Teresa get an apology from the government. 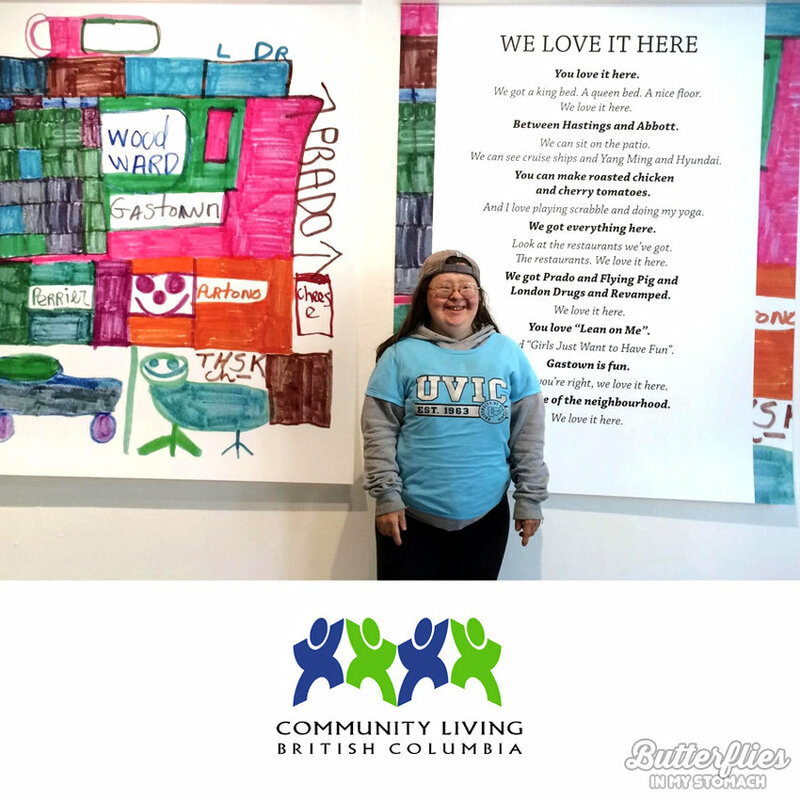 And how Teresa’s new community in Vancouver, helped her to have confidence and emerge as a professional artist and a self-advocate. This is a story that needs to be told. We work together using storytelling, art and music to advocate for all people with disabilities and differences. We engage our community and focus on each person's unique abilities. Inclusion BC is an important part of the "Butterflies in My Stomach" story. 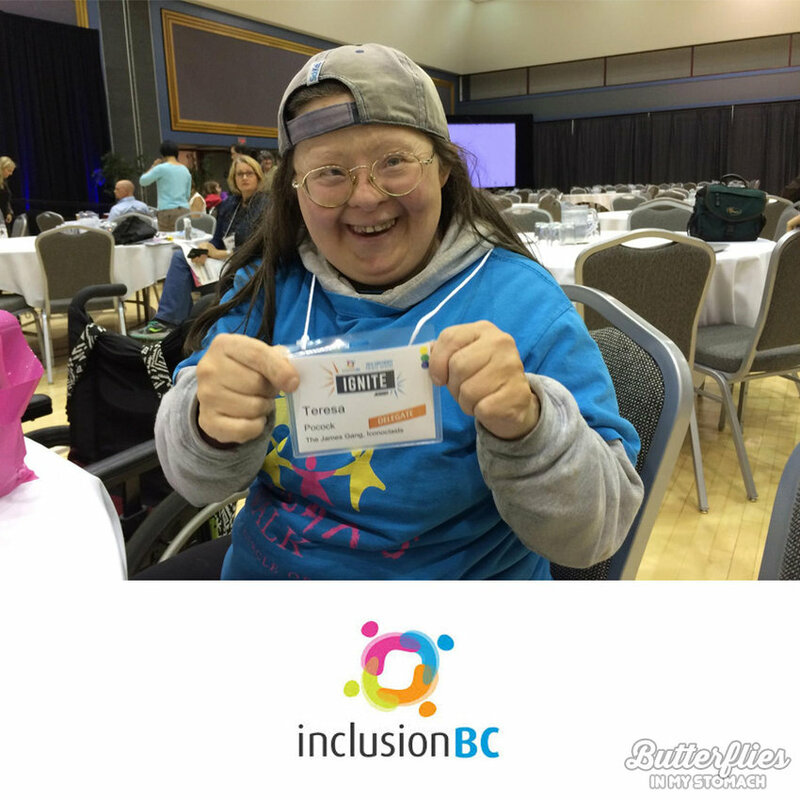 Teresa Pocock is an active member of Inclusion BC. They supported Teresa by signing BCCLA's human rights letter asking the Ontario government for an apology for Teresa. Inclusion BC is a provincial federation advocating for the rights and opportunities of children and adults with developmental disabilities. BCCLA is a pivotal part of Teresa’s "Butterflies in My Stomach" story. 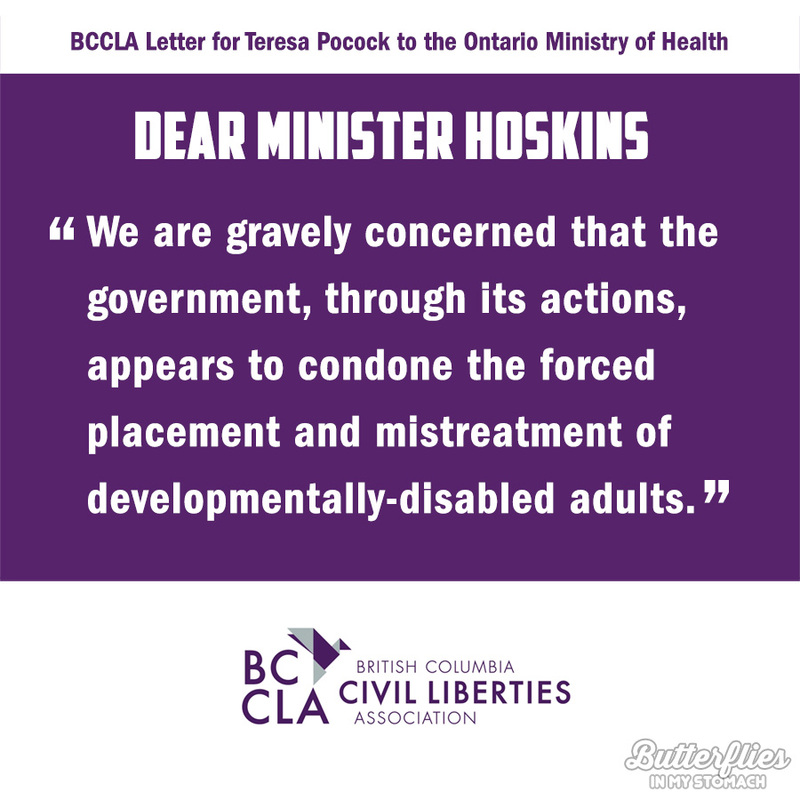 In July 2016, the BCCLA and a half dozen civil and disability rights signatories wrote an open letter to the Ontario Minister of Health, asserting Teresa’s rights to equality and freedom under the Canadian Charter. They asked for an apology. Then the media got involved. On July 22, 2016, the Minister of Health issued an apology to Teresa on Global News TV. On November 14, 2016 the Minister sent a written apology to Teresa. Teresa won a DTES Small Arts Grants in 2016 from the Vancouver Foundation. Their support was a turning point in Teresa’s transformation story. 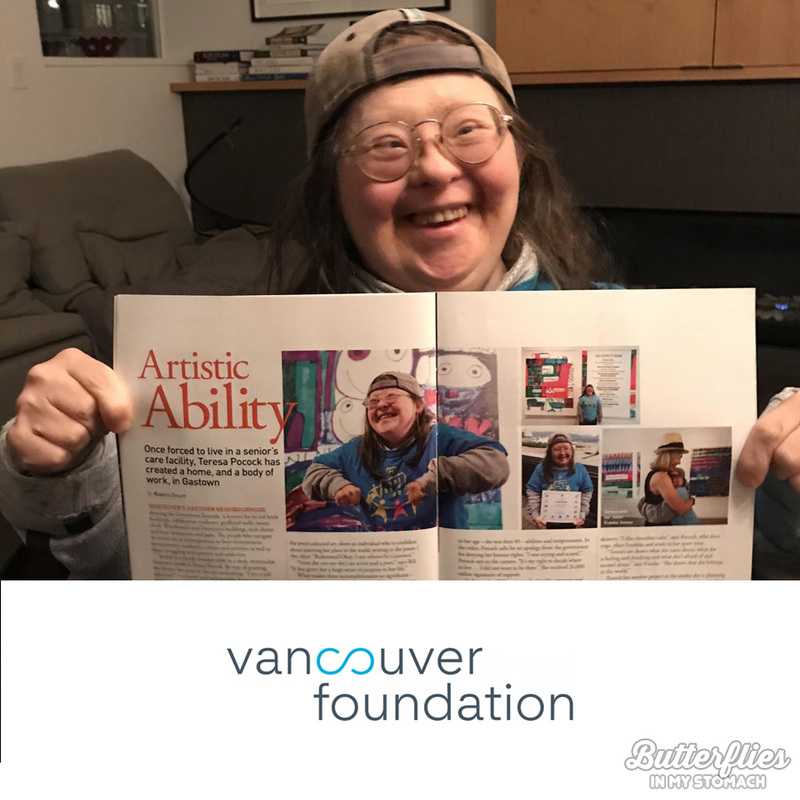 The Vancouver Foundation’s financial support, and coverage of Teresa in their 2017-2018 magazine has helped Teresa blossom into an emerging artist in the Downtown Eastside. 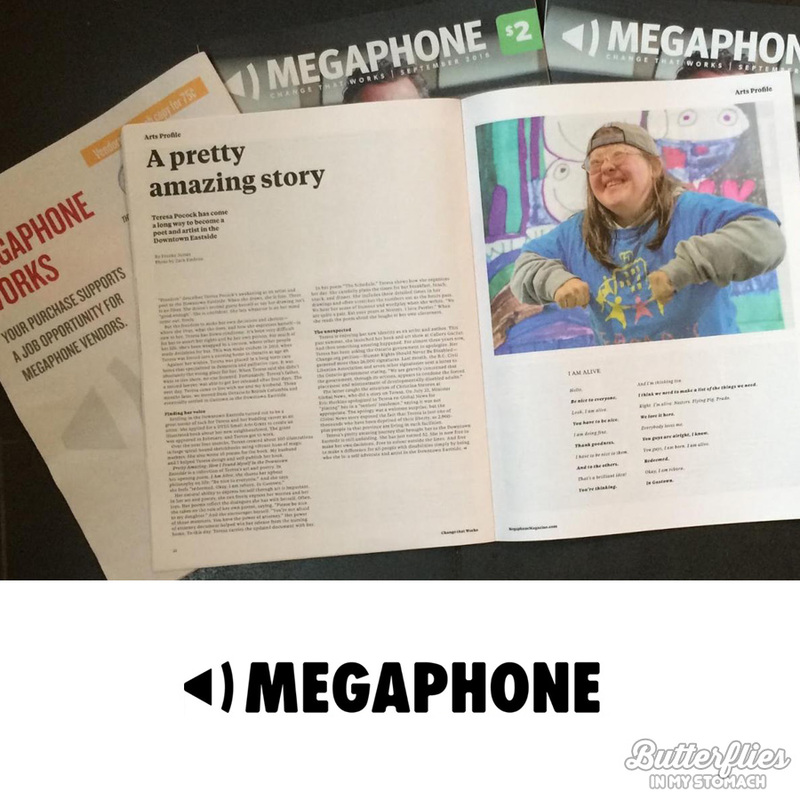 Megaphone Magazine is an important part of Teresa’s story of moving to the Downtown Eastside. Megaphone is “a voice for the marginalized”. Teresa, as a person with an intellectual disability, is part of the marginalized community. Megaphone is sold on the streets of Vancouver and Victoria by homeless and low-income vendors. 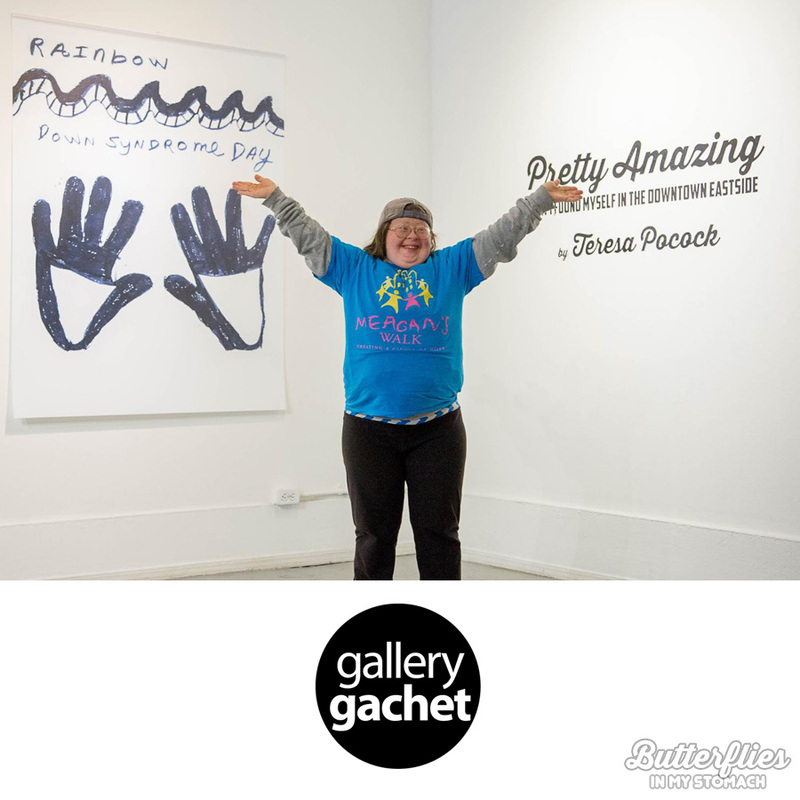 The magazine has featured inspiring articles about Teresa’s self-advocacy journey and her art career in 2014 and 2016. Their support will be included in the video as part of telling Teresa’s story. 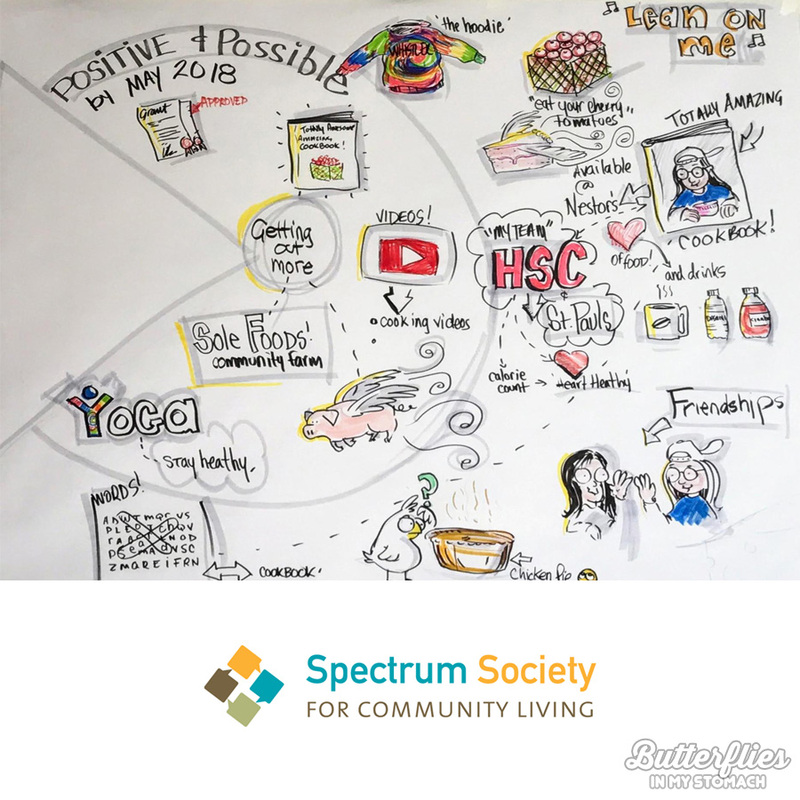 Spectrum Society is a key part of Teresa's story. Their support workers help Teresa explore and experience the community according to her interests. Spectrum was also a signatory to the BCCLA human rights letter in 2016 to the Ontario government. In April 2018, Teresa will be speaking at a school in Richmond with Ernie Baatz, the Executive Director of Spectrum. 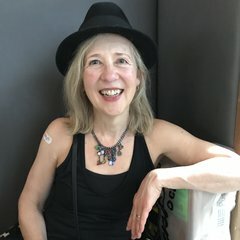 The Carnegie Branch of the Vancouver Public Library has a copy of Teresa’s book, “Pretty Amazing: How I found myself in the Downtown Eastside”. Their community support will be included to tell Teresa’s transformational story.